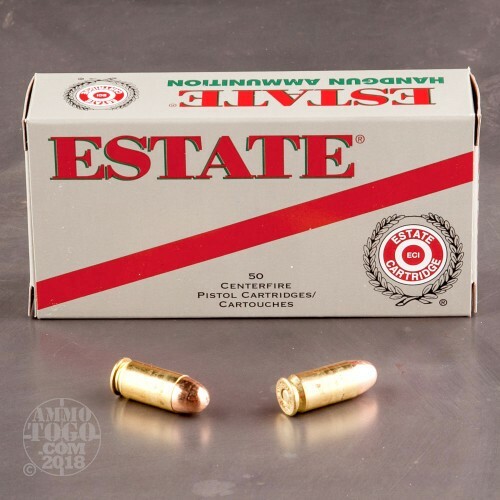 Looking for affordable range ammo that will truly reflect your considerable skill wielding a pistol? 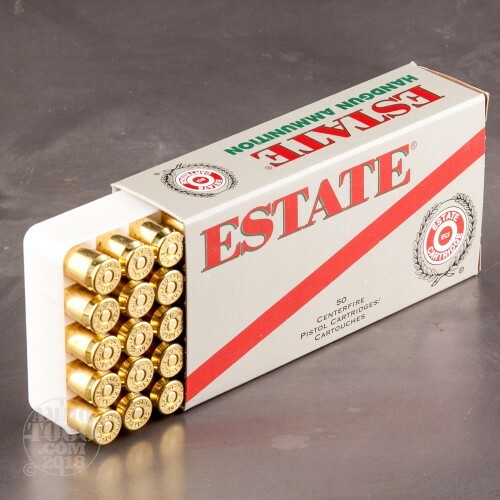 Then have a look at these 1,000 45 ACP rounds by Estate. 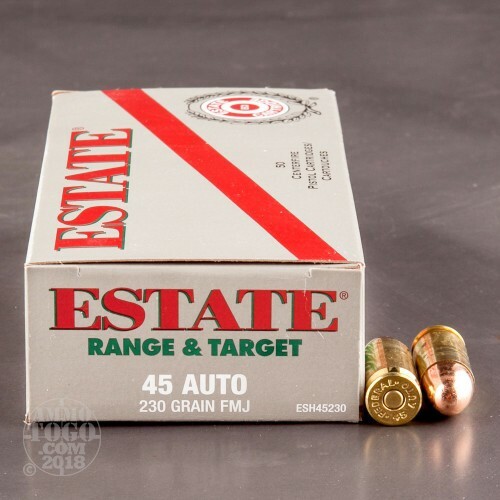 This cartridge sports a 230 grain projectile, its caliber’s original and still most popular bullet weight, so you’re already attuned to how it will perform. The bullet’s full metal jacket will keep your pistol shooting straight for longer in between cleanings, and will serve to prevent a feeding jam from breaking up your momentum. An Estate bullet’s jacket is drawn with care, so a weight imbalance won’t deprive you of a well-deserved bull’s eye. 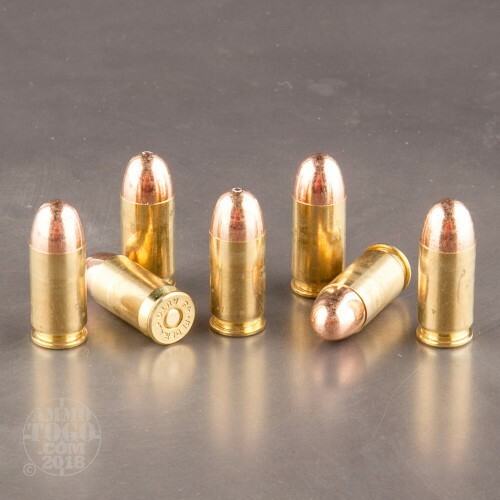 This round offers a new production brass casing, which is one that not only cycles seamlessly but further offers itself for duty at the reloading press. Estate’s non-corrosive primer won’t coat the inside of your action with residues that would cause it gradual harm, and their propellant ignites reliably, evenly, and similarly cleanly as well.